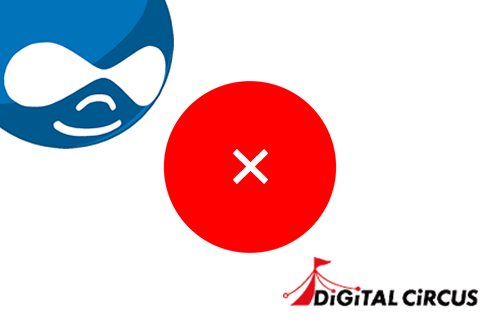 Drupal Price list | Digital Circus., Inc.
Digital Circus has the experience and knowhow to implement Drupal in Japan and now Digital Circus is using that to provide a Drupal distribution package optimized for the Japanese market. Standard modules built-in and verified. Core SEO & access analysis set up. Design templates for the Japanese market. Supports multiple devices (smartphones / tablets). Category/Tag Search Search content by category/tag. Display Related Content Display related content based on the same category or tag. Comment Add a comment to the content. Connect to Social Media Connect to social media such as Facebook or Twitter. Inquiry Form Accept inquiries from users. Site Map Automatically display a site map based on registered content. Breadcrumb Trail Display the current breadcrumb trail for the current location on the website. Member Registration Register as a new member online. My Member Page Change member profile, reissue password, or close account. Smartphone Site Display content optimized for smartphones. RSS Feed Periodically place new content in the RSS feed. Display the website in multiple languages other than Japanese. Ranking Display the popularity ranking of content. Recommend Display additional content based on the user’s activity history. SNS Members can communicate with one another. E-commerce People can purchase products online. GPS Support Display content by connecting with the GPS on your smartphone. Smartphone App Display content optimized for smartphones. Management Functions Content Management Control the registration, editing, and publication of content. Category management Register and edit content grouped into different categories. Part Management Register and edit common parts such as the header and footer. Menu Management Register and edit the site menu. User Management Register and edit members and managers. Access Management Set and manage group permission settings for each member. WYSIWYG Editor You can edit the content in a WYSIWYG editor. File Upload Upload files such as images, movies, or PDF files. Copy Content Create content based off of other content. Approval Workflow Approve or deny the content publication approval request. Display Schedule Set to automatically display content. Meta Tag / OGP Tag Management Set content title, description, keyword, or OGP tag. Analyze with Google Analytics Set access analysis settings through Google Analytics. Version Management Engage in content version management. XML Site Map Automatically generate an XML site map for search engines. Cache Management Set website cache settings. Set Site Environment Set various site parameters. CSV Import/Export Import and export content and users in CSV format. Email Newsletter Send an email newsletter to members. Organization Management Register or edit business or shop management. Original Design Create and apply an original design theme. (*1) The number of servers to set up one website. This number includes the staging server if one is set up. (*2) This does not apply to the major version upgrade from Drupal7 to Drupal8. (*3) The server fees must be separate when using cloud services such as AWS.